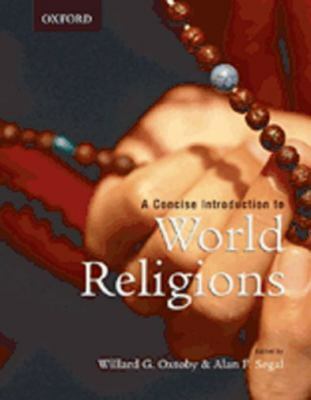 by Oxtoby, Willard G., Segal, Alan F.
Oxtoby, Willard G., Segal, Alan F.
"A Concise Introduction to World Religions is a survey of faiths around the globe, based on the two-volume World Religion: Eastern and Western traditions edited by the late Willard G. Oxtoby. Scholars trace the origins and evolution of the major traditions, explain their essential teachings, outline their practices, and examine their interactions with modern culture and society, while introductory and concluding essays suggest countless avenues for further reflection and study. With extracts from each tradition's most important thinkers, ancient and modern, as well as timelines, maps, glossaries, guides to key geographic sites, annotated reading lists, colour photographs, and handy 'Tradition at a Glance' summaries, this volume is ideally suited to single-semester introductory courses." --BOOK JACKET.Oxtoby, Willard G. is the author of 'Concise Introduction to World Religions ', published 2007 under ISBN 9780195422078 and ISBN 0195422074.